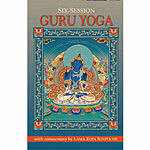 The great Pabongkha Dechen Nyingpo said, "Knowing Dharma is not enough; you must practice. Just being an expert or learned cannot benefit. 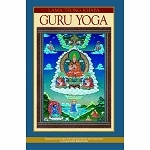 Even counting mantras cannot benefit greatly. The very heart that can definitely benefit is the three principal aspects of the path: definite renunciation of samsara, bodhichitta (the altruistic mind to acheive enlightenment), and perfect view. These three can benefit." 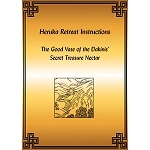 With this same emphasis Lama Zopa Rinpoche, in this precious text of heart advice, comments on the essential aspects of retreat and how to bring about the result of enlightenment. 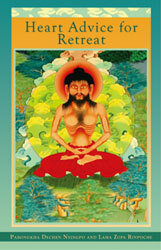 Rinpoche provides compelling commentary to Pabongkha's text, Like a Female Cannibal Cheating, and on the rituals and motivation for entering into retreat. 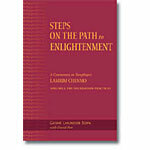 A must-read for all who are serious about reaping results in meditation practice. Spiral binding, 150 pages, 2007 edition.